“El Corte Inglés” is an essential pillar that supports the Spanish economy and society. Spain is impossible to understand without “El Corte Inglés”. The September 14, 2014 he died a good man, an extraordinary human quality. From Carme Chacon (PSOE) Alberto Ruiz Gallardón (PP), all have praised the human virtues of who was a good man: strength, discipline, hard work, dedication, loyalty and above all humanity, a word that expresses and sums it up. In times when an opinion leader does not appear much in the media as towering great manager-what is, or not, Isidoro Alvarez chose discretion: center stage for the company he headed, El Corte Ingles. However, those who knew him and, of course, all the Spanish and European business environment, recognized that he was a great contributor that based on that big business is under anticipation, had everything ready, including the succession. What I meant was not considered essential although it outside-as all good manager should think. The level of knowledge, Isidoro Álvarez notoriety among the general population was not as high as that of others. César Alierta (president of Telefónica) and Isidre Faine (president of La Caixa) are better known, but Isidoro Álvarez share with them other concepts like “favorability”, “friendliness”, “good image”, “reputation” and very substantially, “the manager be contributing to the business.” Other business leaders who are well known -conocidísimos- but fall ill, both opinion leaders and the general population. 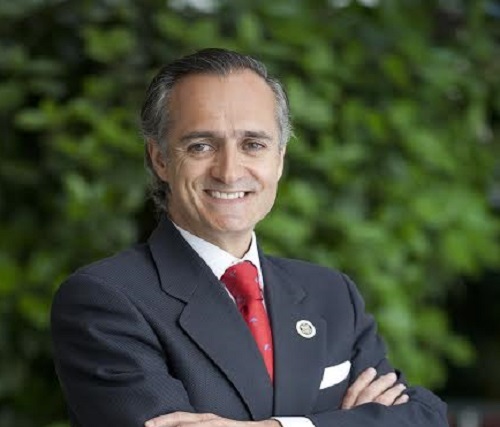 No Isidoro Alvarez, president of El Corte Inglés. His company is one of the best known of Spain, according to the study ADVICE business success. It is well known and close to 9 out of 10 Spanish adults. His physical presence reaches all corners of Spain and Portugal, with its shopping centers. The excellence of El Corte Inglés manifests that has always stood out for its very high levels of quality products and services, and for the very good customer service. His presence in the community, made ​​him leader in Corporate Social Responsibility, Social Work after La Caixa. El Corte Ingles is an essential pillar that supports the Spanish economy and society. Spain is impossible to understand without El Corte Ingles. For decades, all cities in Spain have wanted a center El Corte Ingles, as the medieval towns wanted a wall with door and keys. It is a sign of modernity. El Corte Ingles is much more than shopping centers: the diversification of its business has made him benchmark in all imaginable categories of services and products; It is the only company “that has everything”. Its revenues account for 1.4% of GDP in Spain and, directly employs 94,000 employees, indirectly holds more than a million, thanks to the thousands and thousands of SMEs dealing with El Corte Ingles. It is a company that knows the habits of consumers. Aware of the evolution towards e-commerce, El Corte Ingles and years ago which expanded to the Internet, where since 2009 it has nothing to envy to Amazon in Spain, leading many months sales figures. Recently, El Corte Ingles, and benchmark in Europe thanks to the malls, which already held the leadership decided to make the move to lead the e-commerce in Europe and the first steps are being successful. With Informatica El Corte Ingles (IECISA), Isidoro Alvarez company knew to stay at the forefront of Information Technology, as necessary to increase business productivity and competitiveness of the economy, especially SMEs, which are 99.88 % of companies in Spain and 62.9% of employment. And formed an ecosystem with leading multinationals such as HP, Intel and Microsoft, among many others, on behalf of its clients. To this is added a potential expansion to the United States, which had benefited from the completion of the Free Trade Agreement between Europe and the United States. We are going a great businessman, yes, but above all a great person. Rarely is there such unanimity qualify someone as “good”. But it is. Rest in peace.